BE ALERT—DON’T MISS OUT ON MARBELLA PROPERTY! Nordica Sales & Rentals has always been at the forefront when it comes to using innovative marketing techniques to help our clients make the most of their real estate assets, and to that end we have now rolled out a Property Rental Alerts system for both holiday and long term lets. The new regional Andalusian rental laws that affect property owners letting out their homes on a short term basis have been worrying many—but rest assured, there is nothing too onerous in the regulations. Most of the new rules are a matter of common sense and focussed on maintaining quality standards for the benefit of holiday rentals. As a company that is selective in what it offers and has always worked with homeowners to ensure high standards of equipment, decor and maintenance, Nordica’s portfolio of short-term rental properties actually complies with most of the ‘new’ requirements already. However, it is still important to ensure the official regulations are complied with—also because failure to do so can mean some pretty hefty fines—up to €150,000 in the worst case scenario. What Property is Hot on the Costa del Sol? San Pedro Alcántara’s recent renaissance is going from strength to strength. The opening of a one kilometre tunnel running past the town in 2012 certainly boosted confidence in the area and work on planned new developments started in earnest. 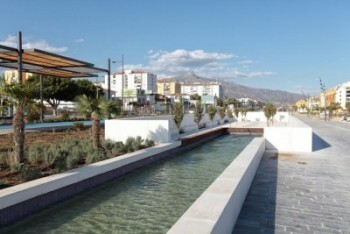 However, 2014 welcomed the inauguration of the San Pedro Boulevard – a beautiful walkway located above the tunnel with a modern, stylish feature bridge, children’s play areas, water features, skating rink, several gastro bars and leisure zones.